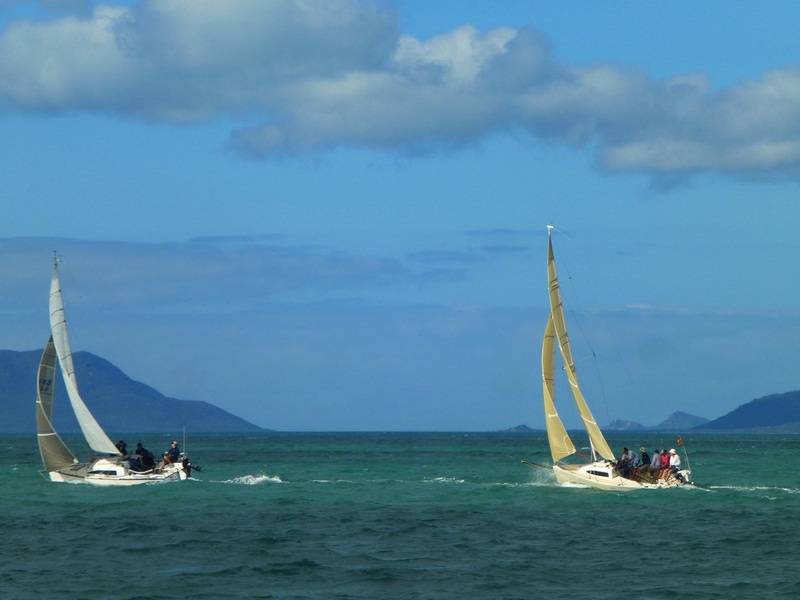 This year the NQCYC is hosting its third trailable yacht series. As Bowen is situated in tropical North Queensland, we named the series the "Troppo Cup". The event will take place on the long weekend in October, racing on the 3rd and 4th of October and giving the competitors time on Labour Day to drive back home. Bowen is a cosy and friendly town on the top of the Whitsundays. The bay is perfect for trailer sailers, as it is sheltered by Gloucester Island from the south as well as the mainland from the west and south. We have our personal island rounding marks called Middle Island and Stone Island as well as several permanent channel markers to race around. The Yacht Club is situated right next to the marina and has amenities with showers, a bar and restaurant, a boat ramp and ample parking spots. The view from the bar and restaurant over the bay is magnificent! It's a very friendly club on and off the water.